I am starting to research my maternal grandfather's war history and I have very little to go on. Basically, all I know is that he lied about his age and joined young, and then served in the RAMC in Egypt and India. Leonard John Monks was born May 7, 1898 in Warrington. I do not have any photos of him in uniform but I do have a letter he wrote home in November 1918 from Deolali, India. The letter did not mention anything about his service but did say that he saw the Pyramids at Giza. 1. How he ended up in the RAMC with no medical background? 2. What ship he may have sailed on to get to Egypt in 1915? 3. Which hospital, CSS, etc. he might have served at in Egypt? 4. How, why and when he ended up in India? 5. Which hospital, CSS, etc. he might have served at in India? 6. How and when he returned home? Any direction or information anyone can provide would be greatly appreciated. He seems to have had an early interest in hygiene, winning one pound along with a thousand other in 1909 (aged 11?) in this soap competition. After the war his marriage cert shows him as an Assistant Foreman, (of what I don't know). So, as you say, no evidence of medical training. Reasons for going into the RAMC ? Apart from concientious objectors and others who may have done it as a matter of priniple it might be because it was a unit that was recruiting locally, eg Territorials. Or perhaps a friend joining at the same time. Medical knowledge was not the foremost requirement. Stretcher bearers would ideally be able to provide first aid or just strong enough to do a long carry. There were a host of practical and administrative jobs that needed all sorts of skills and perhaps he was a good organiser (foreman ?). The RAMC were also responsible for hygiene matters like water purity, I think. In Egypt and such hot climates the need to limit the spread of disease and sickness was a high priority but a very difficult task. Edit- born 7/5/1898 so just cracked 17 years when he went overseas. If he hasn't got a surviving service record, perhaps one of the others on the same page of the 14-15 star roll has ? May give some clues but doesn't g'tee they went to same unit on arrival in Egypt. For example Sgt Wm Ernest Mason has discharge papers, I think, on FMP but cannnot find them on Ancestry. Thanks Charlie. Winner of a Soap competition? He kept that quiet. I did dig into about a dozen other RAMC's with service numbers that were "close" to his but none of them went to Egypt. I did not have the star roll page you found so I will go through them all and see what I can find. Thanks again for digging this up it's given me a good lead. I've had a quick look at close numbers and don't think there will be much to go on. As Charlie said far better to go by other RAMC men with 1914-15 Star and date of entry 30/5/1915. But do note that Monk's 1914-15 Star roll is arranged alphabetically by first letter of surname. So he's in piece 2908 which is K to P.
I think you need to find as many men as you can find across the rolls with date of entry 30/5/1915. Then of course you may find they are all reinforcements and sent all over the place. Also, if a man had a prolonged period of illness or injury his place would be filled by another and he could be sent to another unit. When I tried to have a go at service records I found Ancestry absolutely hopeless to get any search results. Findmypast seems to have a good indexing system and search results very easy to get. But I don't have an FMP sub so cannot go into detail. Am I doing something wrong on Ancestry or has their search facilty gone downhill ? Sorry I can't be more help. It occurred to me (i.e. reminded me) after looking at this that he lived on Lovely Lane. 50 Lovely Lane, Warrington is less than 1/2 mile from, what is today called Warrington & Halton Hospitals. In 1914 it was simply called Warrington General Hospital. The site used to be a workhouse. During the 1st World War, the site became home to Whitecross Military Hospital. In 1898 the workhouse infirmary became Warrington General Hospital. So, perhaps the proximity of the Hospital had some bearing on him joining the RAMC. Just a thought. So far I have not found any service records for any of the 19 men I posted yesterday. I am searching on Ancestry because I no longer have a subscription to FMP. I am searching on Ancestry because I no longer have a subscription to FMP. I am in the same situation. It doesn't stop you doing the initial search on FMP though which gives you an idea if there should be a service record- eg for Sgt Mason. Very frustrating. My opinion is that FMP has the better and more accurate search function, plus you can do one search in the service and the pension records whereas Ancestry would need 2 different searches. Having said that there are records on Ancestry that FMP don't have and vice verse. I noticed on FMP that some of the men with numbers starting 11 have had an extra 1 stuck in which then suggests there are two men with the same number so you need care to make sure the correct number is on the sheet rather than just go by the index results. I did find two (I think) from your 1st list, surnames starting with M but I saw nothing on their early service. 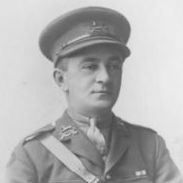 McEvoy also has a record but that's mostly concerned with post war material as he re-enlisted 1919. Leppard also has a record, discharged from 230 Field Ambulance 1919. Oddly his B.103 has him leaving Devonport 1/6/15 and arriving Egypt 13/6/15 and initially with 17 Gen Hospital. But medal roll gives date of entry as 30/5/15. Ended up back in France. If you want to hunt for more RAMC men with medal roll stating date of entry as 30/5/1915. Head back to Monk's 1914-15 roll on ancestry. On the right hand side there should be 3 small icons towards the top. Click the middle one and make sure source is selected. You should see that his medal roll is piece 2908. Use the drop down arrow on the piece number and you can select EG Piece 2909 which starts with Purvis and ends on Walton, another 350 ish pages I'm afraid. TEW, Thank you very much for that, I was planning to ask how to get the other rolls but you beat me to it. I agree that FMP has a simpler and superior search function than Ancestry but it's cost prohibitive to maintain paid subscriptions to both. I also get clobbered with credit card foreign exchange fees since I pay in US dollars. If you can find him in an Absent Voters List there is a chance it will give his unit. Thanks for the suggestion. I can't find an Absent Voters list for Warrington (which was in Lancashire in 1919) although I did get a hit for an "L. Monks" in Altrincham, Cheshire on FMP - but that can't be him. I believe that he was too young to be listed prior to May 1919 and by that time he was probably back (although he did have to get back from India and that can't have been quick). I found 3 more in the first 100 pages of Piece 2906 ; 43202 Addinell, 44004 Arnot & 43803 Anderson, the last 2 have existing records. Combined with Mason, McEvoy & Leppard the 5 records are painting an odd picture. They are leaving different UK ports on different dates and obviously on different vessels. McEvoy's record suggests he actually arrived in Egypt 15/5/1915 but has medal entitlement date of 30/5/1915. Leppard's record suggests he left Devonport 1/6/15 and was with BSF (British Salonika Force) from 13/6/1915. Perhaps the 30/5/15 date on his MIC stems from when he left the UK which is odd. The other 3 records seem to concur with the MIC date and Theatre but they have varying service from 30/5/15. One is sent off to Salonika possibly on Hospital Ship Guildford Castle the others with General Hospitals or Field Ambulances. 11357 Pvt HA Wilson Star returned. Issued from Middx Roll. Not clear to me why a Bugler was needed in the RAMC but he was sent to Egypt on 30-5-1915 nevertheless. But there are no Service Records for any of these 4 men on Ancestry or FMP that I can find. I think things are getter more complicated with regards to the date given for Date of Disembarkation which gives the date for the entitlement for the 1914-15 Star. Either for admin purposes they are rounding up men arriving in Egypt on different dates and assigning them the date of 30/5/1915. Or they are making a lot of mistakes. Or some men are assigned the date of 30/5/1915 when they leave a UK port. File for 61077 Coady says; enlisted 10/7/1915. Embarked 2/8/1915, disembarked Egypt 12/8/1915 but his medal roll states disembarked 30/5/1915. I don't mind going through a batch of numbers looking for files as long as we don't do the same batch. But I think the picture will become muddier as more files get found. Yes, it's a big list! I also noted a number of men with dates of 29-5-1915 arriving in Egypt. Not sure whether this means that there were two (or more) ships or whether one block of men did not disembark until the next day. Or, as you indicate, some kind of administration error. I am currently going through the entire list finding those men with Service Records. I am using the link below which allows a more rapid search. The site is owned by FMP but it's slightly cheaper to subscribe to since it's focused directly on WW1. It's free to search, free to view MiCs but you pay to see Service Records, etc. I am almost done. Will post the revised list in about an hour - work permitting. It is unusual to find so many discrepencies in landing dates. Yes in the past I've found emebark date and land dates have been used but 'rounding' is new to me. Sorry not to be able to give more help in the digging! 11357 Pvt HA Wilson X MiC Henry A Star returned. Issued from Middx Roll. 59919 Sgt CH Hooper X MiC ? Perhaps (hopefully) some clarity will emerge if we can analyze some more records. I think that I am done for the day (I really must do some work) but I will take the list from 2906 and find their Service Records. Thank you both again for your help. When you're faced with the issue in these two images for 61077 Coady in Piece 2906 I don't think you're going to resolve any service for Monk this way. Just because Monk's Medal Roll says he arrived in Egypt 30/5/1915 doesn't mean he did! so trying to match his service to another man's Medal Roll (EG Coady) who 'arrived' in Egypt 30/5/1915 is flawed. I have noticed a few of the men in the lists arrived in Egypt (on different dates) but came under 21 GH or 17 GH. Those diaries are not digitised but perhaps they might note something on these men. I realise that's impossible from your location, sorry. Thinking about it, the number of men on that RAMC roll with Egypt 30/5/15 seemed suspiciously large anyway. I agree that in this case the exercise is flawed; normally it is reasonable.